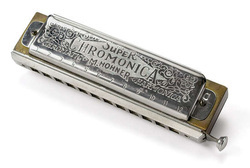 When I began teaching, I wanted something different to use to get the students attention so I chose the harmonica. When I blow on it one, short blast it means no talking, I have something to say. I usually use it to start the class, or to signal that its time to clean up. For Kindergarten and 1st grade I play magic music before each project for a confidence builder. I make my harmonica sound like the entrance to a castle. Then I say, ‘’Ladies and gentlemen from Kindergarten, welcome to Mr. Russell’s drawing class.” They get all excited and believe the magic helps them draw better. As they move into their 1st grade year I start weaning them off. We will get partially through a project and I’ll tell them what great artists they have become to not need the magic music. Occasionally I will do the music with my older students just for fun.